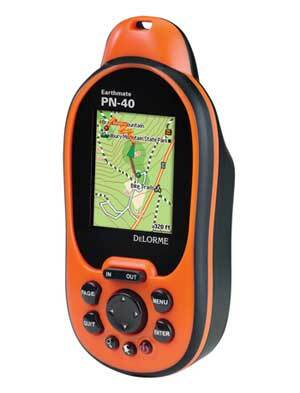 The Earthmate PN-40 is a high-sensitivity, high-performance, bright-color-screen handheld GPS that offers an unrivaled selection of display options including up-to-date DeLorme Topo USA topographic maps, color aerial imagery, USGS 7.5-min. 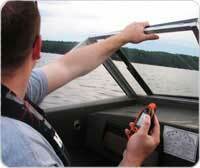 topographic quad maps, and NOAA nautical charts. The Earthmate PN-40 is a high-sensitivity, high-performance, bright-color-screen handheld GPS that offers an unrivaled selection of display options. Included. Comes with three discs containing detailed hybrid topographic and street maps of the entire USA. You do not need anything else to hike, geocache, or navigate the backcountry. It's all in the box. Also Included: Sample Certificate. A $40 certificate is included for downloading sample supplementary datasets. Take a "test drive" with any of the supplementary datasets DeLorme offers: high-resolution aerial imagery, USGS 7.5-Minute Quad Map, NOAA Nautical Charts, and more..
And for Only $29.95! Then, once you're convinced, subscribe to the NEW DeLorme Map Library for only $29.95 per year. Get all the USGS Quads, NOAA nautical charts and high-resolution color aerial imagery to layer WITH your topo and street maps for only $29.95! No hidden charges. Features STMicroelectronics Cartesio chipset and updated DeLorme firmware for amazing signal acquisition and retention, map scrolling and redraw--even with multiple layers of imagery, topo and street maps. On-device data layering lets you select which map or imagery type to see of your GPS location. Switch among data types to gain a comprehensive view of where you are--it's revolutionary and provides a whole new level of geographic detail. Works in bright sunlight to total darkness. Sharp¨ brand screen featuring the latest transflective screen technologies to maximize visibility under a variety of lighting conditions. Conforms to IPX-7 waterproof standard with impact-resistant rubberized housing for a solid grip. Concealed battery compartment with SD card slot. Includes two AA batteries. 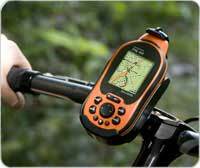 Exchange routes, tracks and waypoints between the GPS and Topo USA (two-way transfers). 1-GB of internal flash memory available in addition to the pre-loaded world base map. Holds up to ten tracks (10,000 points per track); 1,000 user-defined waypoints; and 50 routes. SD slot also available. Comes with three discs containing detailed hybrid 1:100k topographic and street maps of the entire USA. You do not need anything else to hike, geocache, or navigate the backcountry. It's all in the box.